RQ: I’m here with Wesley Colford, producer, as well as writer of book and lyrics for Heart of Steel on now at the Next Stage Theatre Festival; as well as Nicole Power, who is playing Amelia in the production. The show is directed by Luke Brown and presented by Aim For the Tangent Theatre. So, do you want to tell me a little bit about the show? The story deals with Nicole’s character Amelia who is a young lady who has grown up in Cape Breton and desperately wants to leave the small town and spread her wings a little, but is forced to stay and work at the plant in order to support her family and save their house. She goes through a huge journey, meets several other ladies who she forms a bond with and we get to see all of them grow. We see the effect of them getting more independence. We see how the war affects not just the people who’ve left, but also those who’ve stayed behind. Everything changes. How World War II was a catalyst for change is something that’s been addressed in a lot of literature and film, but I think that from a musical theatre standpoint, this is a story that’s never been told. I think the form of the musical is a way to present that’s quite exciting. There’s a lot of fun to be had with it. The music certainly plays on the heartstrings as well as leaving a lot of room for comedy and dance. RQ: It’s a big show with a huge cast. You’ve got a lot of musical numbers. It’s very visually expansive and exciting. What do you think is the benefit doing this for a story that wouldn’t normally get told about women in Canadian history, about the working class in Canadian history, about the Maritimes in Canadian history, or about Canadian history in general! These stories aren’t normally told in a form like this. WC: I think it’s something that I both love and am frustrated by about Canadians is that we’re so humble. All of our achievements, all of our heroes are very understated. And I do love that, as a human. However, as a nationalist, I wish we had a little more of what the Americans are so good at. That kind of propaganda, beating the drum and waving the flag. Of course, that’s an exaggeration, but I think there are so many things in our history that we don’t celebrate or know about outside of a heritage minute. So, being able to tell this story is a privilege and it’s a way to show this great history in a format that’s more palatable than an essay. It’s very accessible and fun, but there’s a lot of details that soak through. NP: Wes, Hillary Scott, and Sam White (who were all also a part of the original production) would talk about doing the show in Sydney and having women come and speak to them who had worked at the steel plant. They were in their eighties and they never dreamed that their story would be told on any platform. So, when it’s done in such a way that celebrates women, and the work force, and the East Coast lifestyle, it’s so rewarding to be a part of. I’m from Newfoundland. I’m an East-Coaster myself and I feel that it’s a hard thing to capture, the essence of East Coast culture and mentality, the welcoming vibe. The music in this show has such an East Coast feel to it. It feels like the folk songs that everybody knows. RQ: Yes! I wanted to ask you about the music in this show being “kitchen music”, the kind of music you’d play at a party in someone’s kitchen out East. What do you think is the importance of that in Maritime culture, to these people? WC: Music, culture, and community are so intertwined there, that they’re the same thing. That’s something I definitely tried to do with this show. NP: Music goes hand in hand with everybody from the East Coast, I feel. When I moved to Toronto, and I’d tell people I was from Newfoundland, they’d ask me if I played seventeen instruments, and I don’t, unfortunately! NP: Exactly. And luckily this cast is full of people who are so musically talented; who can play accordion, Rosie Dykstra can play a fiddle by ear and she’s twelve! Music at that time was so important to help people get through tough situations, and I think Wes really uses that in the show. Before the soldiers ship off to war, we have a big ol’ kitchen party. What I love about it is that it’s not a traditional musical in the sense that everything pauses and there’s a dance number, it’s more organic. It comes out of the characters, and there’s no apologizing for it, and there’s no sense of perfection in the movement. It’s very free, and I feel like it really resembles East Coast life. WC: There really aren’t many moments where everyone is doing the same thing. At one point we’ve got twenty people onstage, but everyone exists in their own ecosystem. We’ve got highland in this corner, and there are other people doing a polka over here, there’s a chain weaving through the middle. Amanda Nuttall, our choreographer, has done an amazing job of capturing those different styles and making it very personal for each character. I think that’s why it works to tell this story as a musical, because everything is so inseparable. The music, the lifestyle, they just make sense together. RQ: Nicole, what can you tell me about your character, Amelia? NP: Amelia is the oldest of four kids. Her father passed away a few years ago, and he worked at the steel plant in Sydney. We see Amelia at the beginning of the play expressing that she needs to get out of the small town. There must be something more than going to school and becoming a mother and wife. She longs for something else. But then she gets the news that she has to stay and help her family, which she’s happy to do, and working at the steel plant helps her find a new love for her home. She meets women who inspire her, shock her, who are nothing like she’s ever encountered before. I think that her journey is fueled by love: love for adventure, love for her family, love for friendships, love for experience. That’s what pulls her in so many different directions. Eventually, she decides that she does love home. It’s not the small-minded town that she thought it was. The experience propels her forward in life, but keeps her rooted at home. RQ: This show was first produced in Sydney, where the actual steel plant is. Do you want to tell me a bit about that process? WC: About a year and a half ago, I moved back home to Sydney to take over as Artistic Director of a brand new theatre space that was previously a church. I thought I was going back for one show, but we’ve done nineteen major productions in the last year and a half. So, when I was home and looking for ways to engage people and showcase theatre to this community that had never had a professional theatre, this was a story I stumbled on in my research. I was amazed that nobody had talked about this major social development where women came and took over for a few years. It was a very fast writing process, I put pen to paper for the first time on January 1st of last year and we opened the first production at the Highland Arts theatre on March 23rd. That was all the music being written, the book, all the rehearsals, all with community theatre performers. I was very lucky with all the talent out on the East Coast. It ended up being extremely well-received and sold out once it opened, so we brought it back through the summer, which was wonderful. Again, it was so great to see this whole community excited about something in their past that nobody was talking about. These women in their eighties were coming up to us after the show saying that they never thought they’d be acknowledged. It was very moving. Although it was a great experience within that community, I didn’t know if it could necessarily stretch beyond that, because it is so personal. However, I was looking to do something in Toronto again, so I submitted to Next Stage, and it was accepted! I called them to make sure they knew what the show was, a two-hour musical with a forty-person cast! I was certainly scared, but very quickly we got Luke Brown on board to direct, we got a team around the project that I knew could handle it, and we got an incredible cast, a mere twenty-one actors this time. Because of my responsibilities out East, I’ve been out there most of the Fall, but I knew this show was in great hands. I’ve known Nicole since 2007. We were in the same class in the musical theatre performance programme at Sheridan. I’m so excited to have her on board. The whole cast is amazing, and it’s been so great to have more time to work on it, and with really wonderful people: EJ Scott, Jan Smith, people who have been at Shaw, Stratford, Mirvish, Soulpepper, Charlottetown. It baffles my mind. We’ve really worked on tightening up the show. The script has benefited hugely from getting this second production, and from these people. 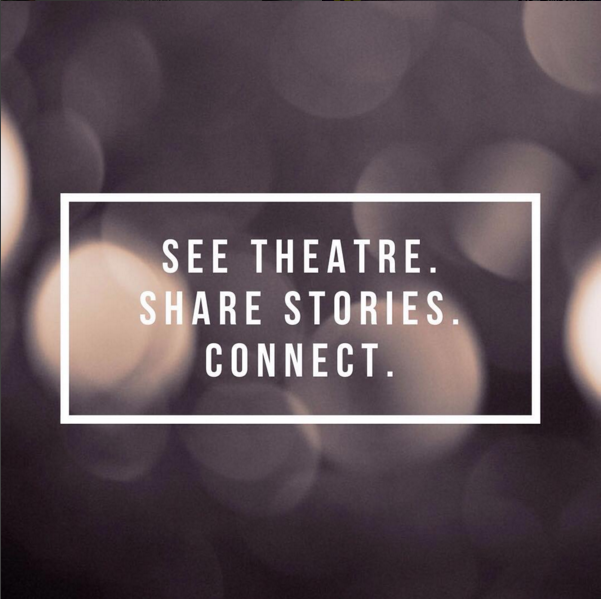 RQ: What are your hopes for the new year, theatre-wise? NP: I’m really excited to get involved in more productions of new Canadian work. I’ve really enjoyed that in the last year. WC: I’m very privileged in my position, to have an outlet in Cape Breton to promote theatre in my hometown. I get to help people there see things they’ve not been able to see. Though it’s been great to be back in Toronto for this show. I hope to continue to be back for projects, and I’d love to travel to other parts of Canada, for that matter. I’d love for something else to happen with this show, beyond Next Stage. I know it’s much easier in a festival setting where people will work on something just because they believe in it, but I’d love if someone else decided to work on it. I spoke earlier about Canadians being timid to tell our own stories, and I think that’s especially true in musical theatre. Americans use that art form as a way to champion their own history, and their heroes. Canada does that in smaller ways, for example with Billy Bishop Goes to War, but we need to continue to do that or else these stories will get lost. We’ll end up consumed by Netflix, American cinema, even European cinema; and we’ll lose track of who we are. That’s something I believe in. RQ: Thanks so much, and congratulations on the show! What: 1943: the boys are overseas and it’s up to Cape Breton’s female force to hold the fort! Hear the tale of the Sydney Steel Plant told through a blend of traditional East Coast Folk and ’40’s swingin boogie woogie. Saw the show and loved it. I grew up in Nova Scotia and could really relate to the music and the sense of humour. Found the story moving and original. I live in Ottawa and would love to see it produced there. This is a show that deserves to be seen audiences all over Canada and further!